The choices are almost endless with the funky N-Beats speaker from Sumvision. Firstly it has a built in FM radio so you can here the latest tunes as they come out. Plug in an iPhone, iPod, other phone or mp3 player to hear your tunes or if you dont have one of those plug a USB drive or microSD and hear the tunes from there. Rounded off with a rechargable battery and you really have the music wherever you go. First Music/FM Radio speaker player on the market. Portable player and speaker with multi-task functions. Small and easy to carry around. Suitable for all ages to enjoy. Plug in your iPhone or any other mobile phone. Plug in and use as a seperate speaker for your portable games console. Provides enhanced sound quality that your standard portable devices are not able to provide. 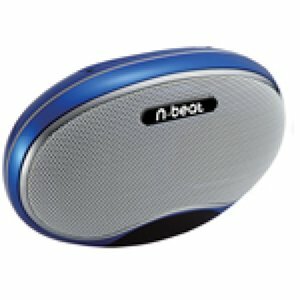 Use the N-Beat as a stand alone FM Radio player. No antenna required. Play it as a stand alone MP3 player. Just plug in a micro SD card or pen drive with your favourite MP3 music and listen through the speakers or headphones. Excellent rechargable battery life provides hours of perfect sound on the move. LED screen displays radio channel frequency / MP3 track duration / connected device and battery life. 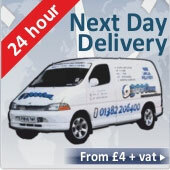 Rubber feet reduce vibrations when the N-Beat is placed on a hard surface maximising sound quality. I/O 3.5mm Stereo audio port (supports audio input), USB 2.0 port, Micro SD card port.